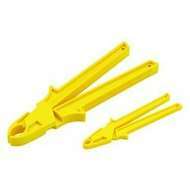 IDEAL Safe-T-Grip Fuse Pullers offer maximum efficiency and convenience for removing or replacing cartridge-type fuses. 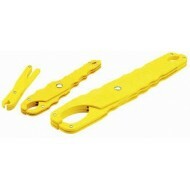 These Fuse Pulllers are fully insulated with high-dielectric, glass-filled polypropylene construction. Notched handles provide safe, no-slip grip. Clearly marked amperage ranges. IDEAL Fuse Pullers exceed MIL specifications.